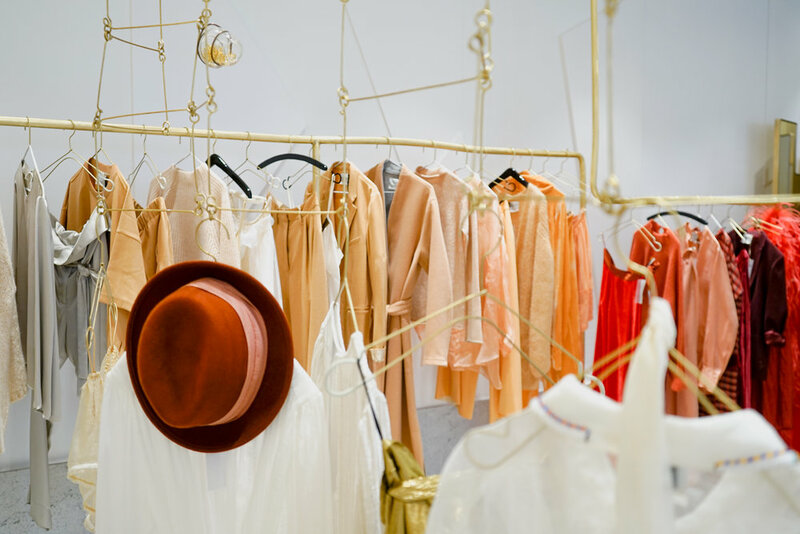 In the heart of the sixième arrondissement, along with some of Paris’ deeply rooted intellectual traditions, beautiful architecture, and that je ne sais quoi Parisienne, a new boutique opens its doors with as much elegance and timelessness as the quartier it is situated on. 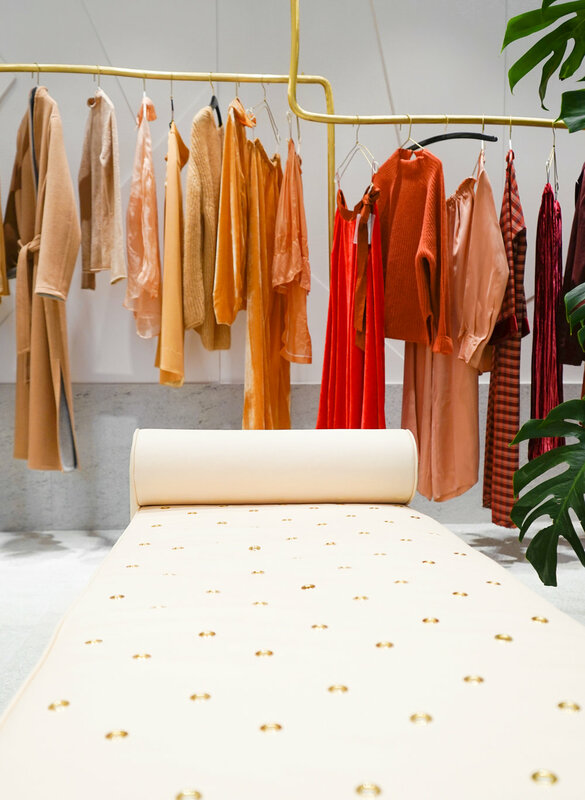 forte_forte inaugurates its first Paris boutique with the same dedication they put into their garments: emotional, timeless, sculpted by hands and feelings. 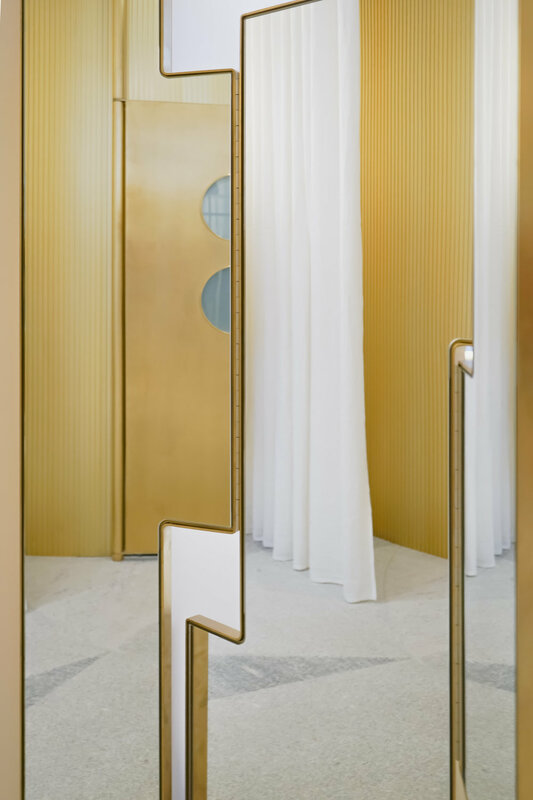 The overall space is a perfectly balanced combination of soft curves and smooth pinks and grays, juxtaposed with geometrical shapes and rustic brass elements, resulting in a harmonious and chic oasis —perfect for the ultimate shopping experience. 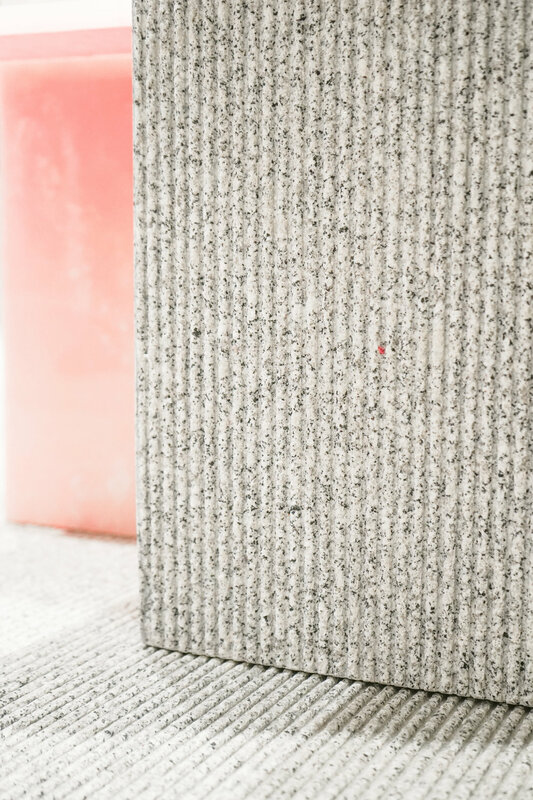 Robert Vattilana and Giada Forte have managed to curate a space as ethereal as the clothes contained within. 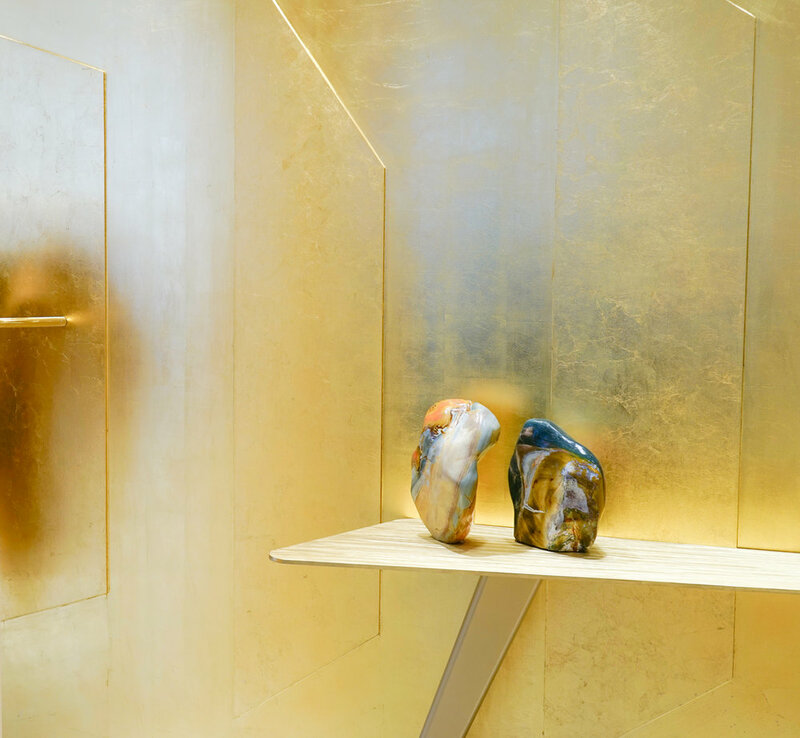 There is no question each element in this boutique has been carefully considered and purposefully selected —the solid granite mixed with touches of brass, pink onyx and gold leaves perfectly emulates the forte_forte woman: feminine yet strong.